Furious competition is going around as the CES 2015 is getting near. Prominent Tablet maker Dell can’t keep away from such a prestigious event. This is the place where these companies have to convince their customers about their future plans. Dell is well prepared for the event and now they have introduced their flagship model Venue 87000. When you have this model at the show, you can surely say it’s a complete show. 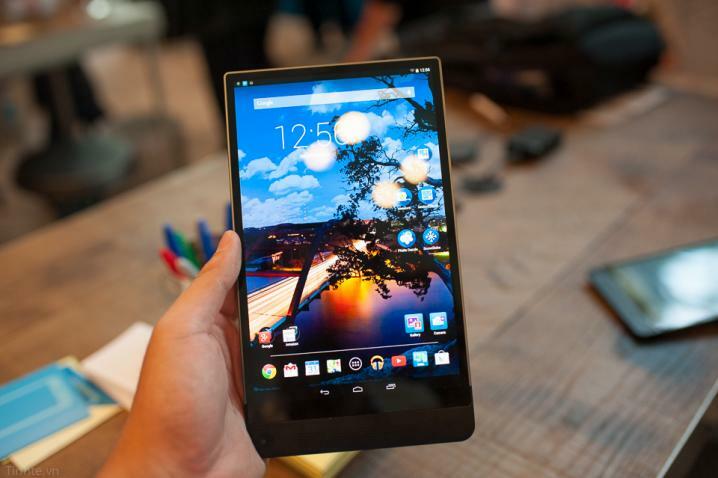 Dell Venue 87000 is the thinnest tablet computer ever introduced. This device comes with a 3D camera with 2K display. Dell has successfully designed a model with 6-mm thickness which includes all the flagship model features. This can be considered as a great achievement for the company’s research department. Venue 87000 supports QHD display of 8.4 inch with 2560 x 1600 pixels resolution. They have also reduced the border size which enhances the quality of the display. The rare combination of thin design, Ultra quality display and Bezel free screen are the real features of the device. Underlying hardware configuration was tricky with the minimalist concept. The device is powered by 2.3 GHz quad core Intel processor of Z3580 series. They have also offering a 2 GB RAM with an internal storage capacity of 16 GB. Expandable storage option is also available up to 512GB via microSD card. Venue 87000 is composed of an 8 megapixel rear camera with RealSense 3D camera. They have also provided a 2 MP front camera. RealSense technology is too efficient in facial recognition, emotion tracking, 3D scanning etc. and is going to be a great ad on to the device. They have also included the photo manager Dell Gallery with variety features. Apart from the high quality HD video recording is possible with the latest 720p stereoscopic sensors. Now a days mobile cameras are getting professional and Dell is also trying to move with the tide here. You can even use advanced DSLR features like dynamic focusing and intelligent depth sensing with the device. True key is another feature enabled with the device specially dedicated to the facial recognition. Some of the outstanding features of the device includes Miracast support and MaxxAudio wave speakers to get great output. Dell Venue 87000 is an Android Kitkat 4.4 based device with a reasonable price range of $399. Not the best but the better 5900mAh battery is used in the device which is good enough to satisfy the power needs of the tablet. Dell is looking for the Zenith position on the market and they have right product with them. It is going to be a good asset for them at prestigious CES 2015.